One of our Ribbon friends asked for my take on Prince Harry’s upcoming wedding. That is such an interesting question, and you know me, I always have comments. I am always thrilled when two people who are in love decide to get married. I have watched Harry grow up through the years and finally make plans to settle down. Although, I am not sure getting married is settling down when you are in the royal family. When the eyes of the world are on their every move, a wedding just enhances the public interest surrounding Harry and his bride-to-be, Meghan Markle. It is no secret I loved Princess Diana. She and Charles got married the summer after my twins were born. As I was up around the clock with them, I watched the replay of the royal wedding a zillion times. I truly loved the ceremony, as I had never seen anything like it in my life. But really, aren’t we all royal brides when we get married? 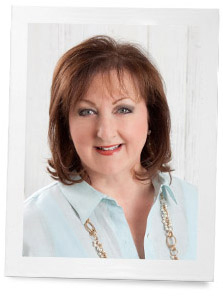 Her choice of clothes, hats, shoes, and accessories revived an entire fashion industry in Britain. How refreshing to see her grow from kindergarten teacher’s assistant to princess in just a few short months. Forget all the turbulent mess—I wish we could have seen her grow old with us. What a treat that would have been! But she is frozen in time as a beautiful young woman­–forever young, much like Elvis Presley and John Kennedy Jr.
Diana injected some lovely genes into a rather stale gene pool. You can see that in her children and grandchildren. Kate Middleton was a breath of fresh air when she and William got married. She knows her prince is in love with her and that shows on her beautiful face. Her style is one to be admired and copied as well. Now, Harry and Meghan… what do I think of this? I think they are a cute couple, and they have an extreme opportunity to have a great influence on the young people of Britain. I am thrilled to see he is a patron to many wonderful charities and participates in multiple endeavors to benefit underprivileged people. They are sure of themselves and seem extraordinarily happy. And like all women, I can’t wait to see her dress, her flowers, her wedding party, and the parade of guests wearing hats to their wedding. I will be getting up before dawn to tune in and will sip tea and eat scones in the dark on their wedding day. When you have a fascination with the royal family, it never stops. I’ve watched the second season of The Crown and will start the second season of Victoria soon. 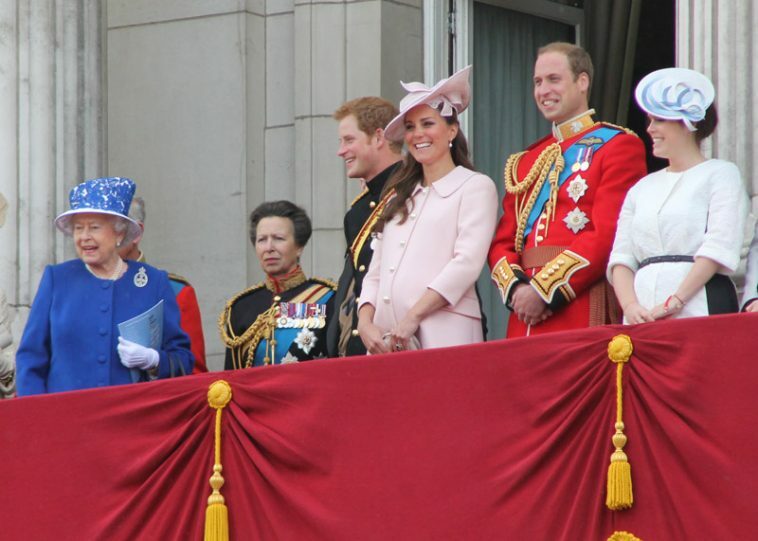 I don’t know why, but the history and ceremonies of the British royal family fascinate me. It’s a world I will never live in, and frankly, I wouldn’t want to. My hope is that in the future the young royals will continue to place an emphasis on charity work and giving to others rather than emphasizing themselves. We need young people to lead by example, and I hope they will continue to do so. I wish Prince Harry and Meghan all the best in their marriage and great happiness for the rest of their lives. 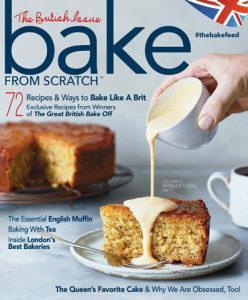 Have you seen the newest issue of one of our baking magazines, Bake from Scratch? Check out the British Issue today! Meghan is a lucky young lady to have caught the eye of Prince Harry. He’s smart and very attractive. I trust his choice for a bride. I, too, ‘follow’ the Royal Family. My first Royal wedding was the wedding of Princess Anne to Capt. Mark Phillips. My mother and I awoke early to see the spectacle! It was fascinating and I spoke of it when I got to work later that morning. Some of the old ladies looked at me as if I had grown another head, but that started it for me. My Dad’s parents were from Northern Ireland which is part of Great Briton. They returned for a visit in 1959 when I was 5 years old and we just found some letters that were sent by my Grandmother while they were there. I must have asked her to bring me “some of the Queen’s jewelry” as a gift. I was surprised that even as small as I was, I wanted something of the Queen’s and that it was jewelry! Of course, I was up for the wedding of Prince Charles and Lady Diana Spencer, the Duke of York ( Prince Andrew) and Sarah Ferguson. The only wedding I missed (How did that happen?) was the wedding of Prince Edward, Earl of Wessex and his bride, the lovely Sophie. I am looking to see Princess Eugenie be married this year, as well! I will make scones and a breakfast ‘bake’, set the card table, make a pot of tea and enjoy the spectacles of these happy couples uniting in marriage! When I see William and Kate’s children, i can’t help but think what Diana is missing. In turn,the children only have her legendary biographies and stories from loved ones. What a loss. When I was about 12 years old (mid 60’s) I had a book about the British Royal Family. I have no idea where the book came from and don’t recall a thing I read in it but oh the pictures!!! That started my fascination and it never stopped! While I love reading about them I don’t need the private info and wish the media would leave them alone and not spread lies. But I love Princess Kate and think she’s the best in the history of England. She and William have brought a new style and class that the Palace needed. Very Happy for Prince Harry and Meagan, hope they will have a beautiful wedding and a wonderful marriage. It is a very happy and very sad time for the young men, Harry and William having beautiful and amazing weddings and celebrations, and without their Mum Diana there to celebrate with them. She was a beautiful and trend setting Princess and I know they miss her terribly, especially when there are such great occasions to celebrate. The Royals are always interesting to watch and follow. But none as much as Lady Diana, there will never be another quite like her. My great grandmother was British, and my Grandmother was Canadian. I grew up listening to stories of the Royal family, and they were quite respectful of and loved them. I still have my grandmother’s set of dishes from the Queen’s coronation. Being an American, I do not have the awe and almost worshipful attitude of my ancestors. But I maintain a interest and always think about how delighted my grandmother would have been with each marriage and birth. It gives me a connection that I enjoy. Do you know when that photo was taken? The Queen’s jubilee, perhaps? Kate was evidently expecting. And I think that is Princess Eugenie next to Prince William. My French friend thinks that Americans’ fascination with the Royal family is bizarre, but of course, for us it is just fantasy and make-believe. I’m looking forward to the wedding. When William and Kate were married my chapter of the Daughters of the British Empire in the USA held a “reception”, complete with cake and champagne, and we all dressed as if we were going to a wedding. It was great fun. Such a lovely post , your thoughts are mine as well. It seems I just love you more and more with each beautiful “story” you write! You write what is in my heart EXACTLY! Phyllis, you wrote “when you have a fascination with the royal family, it never stops.” No truer words were ever written!!! My brother and I got up purposely on the morning of Queen Elizabeth’s and Prince Phillip’s wedding to listen to it be described on the radioThat was in November, 1947. I was 9 years old and I have followed the Royal family since that time. A lot of people are enthralled with the royals and especially when they marry. Wedding traditions are so relaxed today starting with some of the dresses that appear to have been borrowed from a brothel to brides waddlings down the isle still wearing white. That being said, if a bride (or groom) has been married before but wishes to have another big wedding the second time around, I say go for it. At least the bridal gowns worn by this particular royal family have been classy and I don’t expect that to change. I loved this post as I am such a fan of all things English. I too awoke very early in the summer of 1981 holding my four month old son to watch Princess Diana’s wedding. I was heartbroken when we lost her. I drank tea and ate scones very early in the morning when Prince William and Kate Middleton married. We will be on vacation when Prince Harry and Megan marry, but I will definitely record it and watch when I am back home. I know many of us trace our ancestors back to the English. I had always heard my family traced directly back to William the Conqueror thru a 16th century lady who married a man with my maiden name. After a lot of research I found the names of her ancestors in every generation taking her directly back to William on her mother’s side. What a thrill! William is my 28th great grandfather!!!! I identify with the English so much and spend most of my reading time on biographies of my medieval English royal ancestors. While I have no proof of anything, it’s such fun thinking I have famous royal ancestors!!!! I enjoy following the Royal Family as well,but I do think it’s a bit strange that H&M are going to have what by all appearances is going to be a fancy wedding with all the trimmings when this will be her second marriage. I mean, I can see having some pomp; I guess I am mostly surprised that what has been leaked so far indicates that she is going to have an actual wedding gown, which to me beyond tacky. I honestly thought it was going to be more along the lines of Charles and Camilla’s ceremony. They had a small ceremony and huge reception and Camilla wore a beautiful gown, but it was most definitely not white-with-a-train-and-veil. But I do love weddings and I wish them every happiness together. First–your Ad. I absolutely love the British Ed. of Bake. I got it in the supermarket. All of it is inspiring…and, I cannot wait to make the lovely items…especially sauces on cakes..
because his and hers were so similar. Then there was the attraction…but, there’s more. The gown, the family, the estates….of Prince William’s wedding to Kate…. are and remain awe-inspiring. Noone should or would want to compete with them. the family. He loved going there before their marriage. ‘Guess we’ll just have to wait and see…and, maybe….we can read about them in your magazine,Phyllis! I am Canadian and of course, the Queen is our Queen as well.I find the interest in the Royal family to be a good thing, especially for Canadians, as this is a symbol of what unites us. Unfortunately, I find the importance of this is lost on many in what has become a fascination with the celebrity aspect. I find it sad that Miss Markle’s style of coat sold out in minutes. As do the little ones’ baby outfits. We should be paying attention to continuing Royal tradition, not individuals we know very little about. They have yet to achieve anything remarkable and yet somehow we continue to put them on a pedestal. We should be focusing on people of substance. You know, you’re right. Prince William obviously loves his wife and it truly does make a difference. I hadn’t thought of it that way or understand why I felt so sorry for Diana. I was a big fan of hers in spite of the tragedy of her marriage and I don’t feel concern for Duchess Kate. I’m kind of excited that Harry is marrying an American! I wish them every bit of happiness. Thank You for this post. I can still remember watching Prince Charles and Lady Diana’s wedding. What a beautiful bride she made. She would be proud of her sons. Unfortunately, we will never see her interact with her adorable grandchildren. Like all young newly wed couples, it’s a wonderful time but also a bit scary and unknown. If we, the rest of us, find marriage a bit ‘scary’ imagine how the young royals feel, forever in the limelight! The royal family does not have a good track record of happy marriages with too many sadly ending divorce. Prince William and Kate seem happy enough. I only hope that Prince Harry and Meghan find the same happiness and are marrying for all the right reasons! I was born in the UK and have seen all the royal weddings since the 1950’s and they are all very much fairy tale to begin with . Lets hope and pray that Prince William and Prince Harry can live happily ever after! I enjoy the Royals. I keep up with them by subscribing to “Majesty” Magazine. I watched Queen Elizabeth II’s Coronation. Did you know that there is another Royal wedding on the horizon? Prince Andrew’s younger daughter Princess Eugenia announced she is engaged and will be married in the Autumn. I follow the Royals. My favorite Royal is Princess Margaret’s daughter Lady Sarah Chatto.